Andrew Holness, prime minister of Jamaica, has sought to highlight the vital importance of sustainable tourism to the development of the country during an international conference in Montego Bay. Organised under the auspices of the United Nations World Tourism Organisation, the Global Conference on Jobs and Inclusive Growth: Partnerships for Sustainable Tourism seeks to being together public and private stakeholders to forge a consensus on how to develop the hospitality sector. Holness said: “Tourism must be developed in a sustainable way, so as to preserve the resources of our destination for years to come. “Development must be properly planned so our assets are available for future generations. “As the global economy expands, and tourism along with it, it can contribute significantly to the ambitions of tackling poverty and fostering development. “Tourism is fundamentally a people-based activity. Jamaica itself has seen strong tourism performance in 2017, welcoming over 3.3 million visitors in the first nine months of the year. The country now expects total arrivals to surpass four million by the first week of December – breaking previous records. Gross foreign exchange earnings for the first ten months of the year stood at US$2.34 billion, which is a 10.8 per cent increase over the corresponding period in 2016. The Global Conference on Jobs and Inclusive Growth is taking place during the International Year of Sustainable Tourism for Development, with just over a month to go before the end of the event. Holness added: “Respect is due to tourism; tourism is deserving of our respect as an industry that has contributed so significantly to our economy. Panning back, the Caribbean welcomed a historic 29 million visitors in 2016, over one million more than in 2015. Tourism growth in the region outpaced the global average of 3.9 per cent. The data for 2016 also indicate that cruise tourism in the region is booming, with cruise passenger arrivals growing by an estimated 1.3 per cent, to approximately 26.3 million in 2016. For the first six months of 2017, data compiled by the Caribbean Tourism Organisation show that the region welcomed 16.6 million international tourists or 800,000 more than in the first six months of 2016, constituting a growth rate of 5.2 per cent. 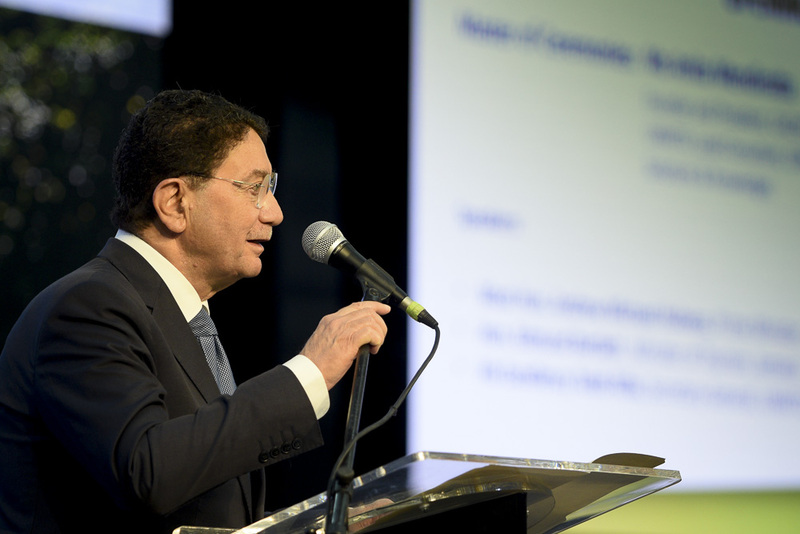 Taleb Rifai, secretary general, United Nations World Tourism Organisation, was also in attendance at the event, in what is likely to be one of his final official engagements before he steps down at the end of the year. Greeting delegates, he said: “Our world is changing in incredible ways and our industry is a force for that change. Last year some 1.2 billion people travelled across international borders, with roughly one in six of all humans on earth making a trip in 2016. These travellers spend $3.2 billion on tourism every day, creating jobs and spring economic development, the secretary general said. Rifai added: “Travel and tourism is bringing us together as never before, the world is much smaller, and therefore a better world. 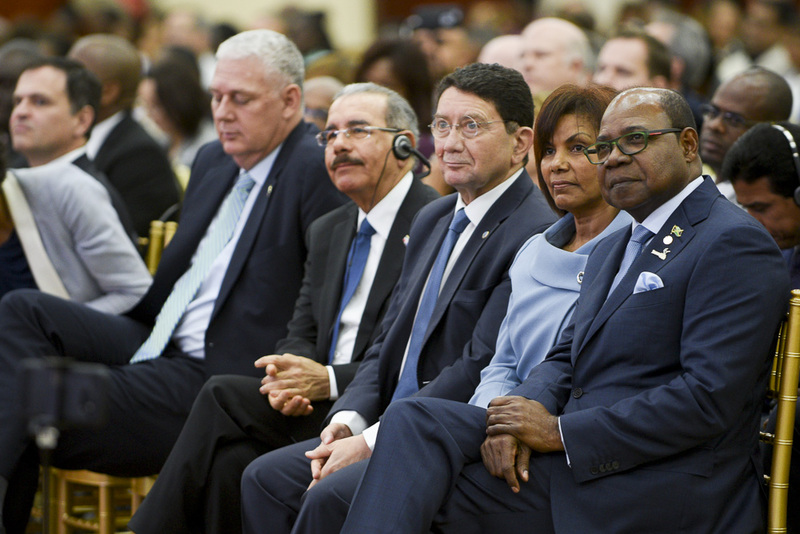 Rifai urged the Caribbean to come together as a single region, eliminating the “walls between nations to facilitate travel”. Turning his attention to community involvement, he said the world could not continue “to build five-star hotels in three-star communities”. “Resorts can be modern day plantations,” he added, “we must move aggressively and courageously against this”. The Caribbean remains the most tourism-dependent region in the world. The sector is the single largest generator of foreign exchange in 16 of the 28 countries in the region. Despite this, Caribbean countries face a greater degree of vulnerability to the worst effects of major environment disasters, particularly climate change, a phenomenon to which they have often contributed the least. Already this year the resilience of the tourism sector in the region has been tested with the passage of Hurricanes Irma and Maria, which affected 13 of the most tourism-dependent countries in the region. These include St. Martin, Anguilla, Dominica, Barbuda, St. Barts, the British Virgin Islands, the US Virgin Islands, Turks & Caicos, the Dominica Republic, and Puerto Rico. Jamaica minister of tourism, Edmund Bartlett, said: “It is our pleasure to welcome you to the first ever truly global conference on sustainable growth and job creation. The Conference on Jobs and Inclusive Growth will bring together world leaders from the tourism industry along with governments, donors, international development and finance organisations to design and coordinate an international road map and foster collaborative relationships for inclusive economic and social development via tourism. Organised by the United Nations World Tourism Organisation, the ministry of tourism of Jamaica, and the World Bank Group, in collaboration with Chemonics International, a leading international development firm, the event will identify successful models and future initiatives of public-private partnerships that will contribute to sustainable tourism development globally. Bartlett added: “Global tourism has been identified as one of the main catalysts for sustainable growth. 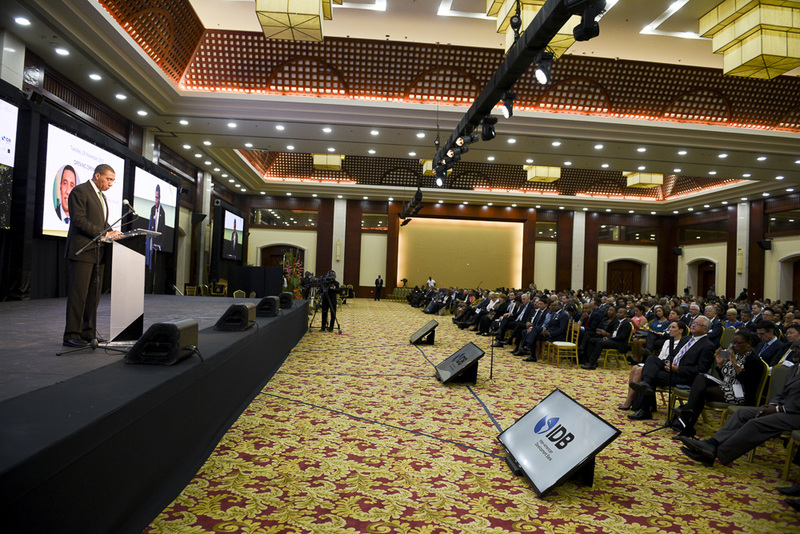 Find out more about the Global Conference on Jobs and Inclusive Growth: Partnerships for Sustainable Tourism on the official website. Take a look at a series of images from the event here while the Breaking Travel News interviews with the key players can be seen here.